If you are ready to create an online course, you are ready for this course! Thanks for this in-depth walk through, Steve. 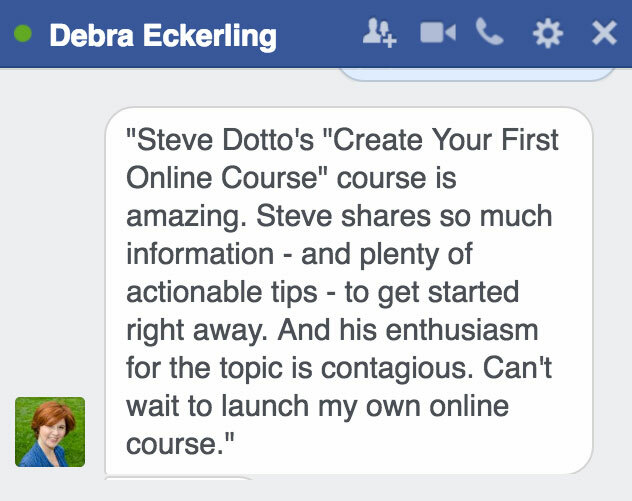 I can't wait to get started on creating my first online course. I have already signed up with Thinkific! Thanks Steve, great overview on how to get together your first course. Very well put together and delivered. Thank you Steve, As always you provide value for money, high quality content, in an easy and relaxed style. I look forward to further insights in the future.